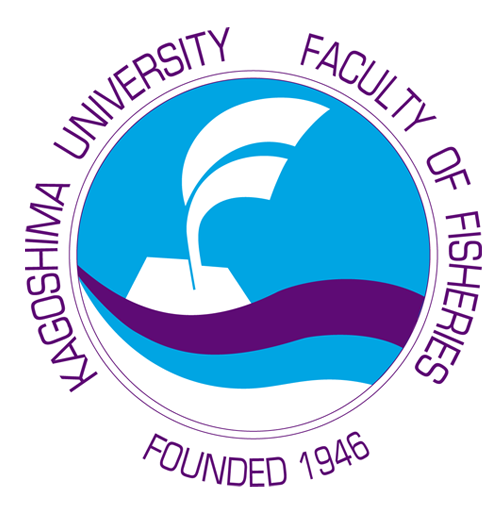 On 18th August, 2018, an opening ceremony of Summer Session for the Graduate School of Fisheries 2018 was held at Faculty of Fisheries, Kagoshima University, Kagoshima. The summer session is offered for the master course students registered for the “Postgraduate (Master) Program on Tropical Fisheries with International Linkage (ILP)”, which is an international alliance to share the curriculum formed with characteristic subjects provided by the member schools in Southeast Asian countries and Japan. Around 60 teaching staffs and master course students including 16 students from five member schools such as Sam Ratulangi University, Indonesia, University Malaysia Terengganu, Malaysia, University of the Philippines, Visayas, Philippines, Kasetsart University, Thailand and Nha Trang University, Vietnam attended at an opening ceremony. 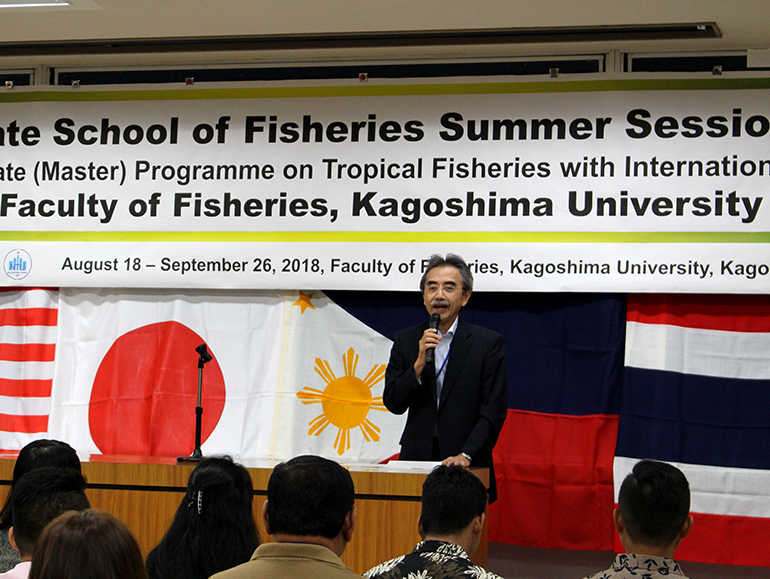 Professor Shunsuke Koshio, Dean of Faculty of Fisheries, expressed his welcome greeting and celebrated that the first activity of ILP has successfully started. Representatives of each school student also presented their greetings and future perspectives. The governing council of ILP comprises representatives of the member schools, and has guaranteed the qualification of education. Since 2015 when the program started, the registered students are able to attend classes of any member schools like those of their own school. Considering the fact that the credits are issued from their own school via ILP, this unique linkage program is definitely original, and there are no other examples available in the world. 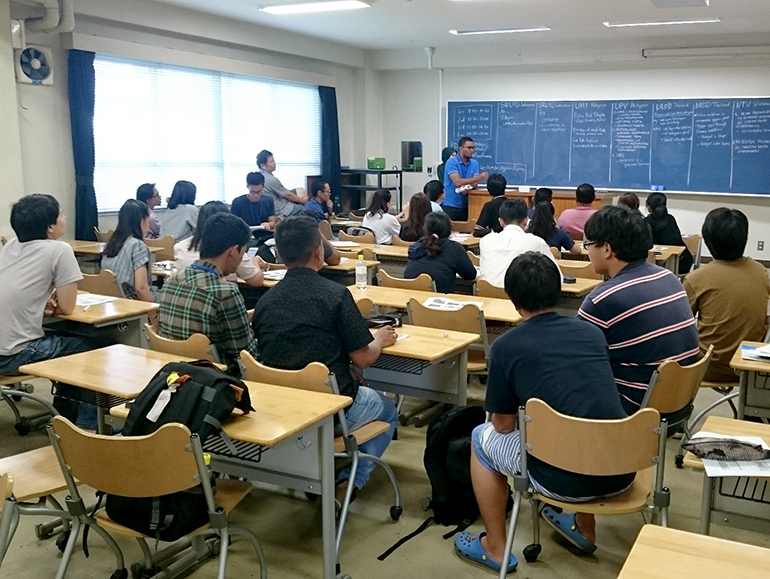 Students from the member schools are expected to attend four of seven subjects concerning lecture and/or laboratory classes. Moreover, they will take the practical training on the latest analytical method at the laboratory for each research area under the supervision of host scientist. Onboard training by using the faculty training vessel is also provided. English language is used in all the scheduled classes, indicating that there is no border of the difference in language. During the Summer Session, we will offer various activities for the acceleration of international cooperation in education. We strongly believe that the opportunity in the summer session would be very valuable and helpful for students to accelerate experience and knowledge, and contribute to your achievement in the field of Fisheries Sciences as well as your future life.